Though technically USA wasn’t the first overseas country to visit for me and Alex, in reality it was our first ever experience of so many things! Of living under one roof for four months in a row, of being abroad on our own, of soaking in the new culture, language, fashion, flavours, of falling in love with the destination so deeply and forever. Even eight years later all the memories of those days are still so colourful and warm, that anything USA-related makes us super emotional. You can imagine, how pleased and excited we were to be invited to Brooklyn Patio & Eatery (53 The Strand). I mean, it’s BROOKLYN, for God’s sake! Thanks to the movies, we all know Brooklyn as a vibrant, ‘bricks, lofts and rooftop gardens’ area, inhabited by modern hipsters, hanging out in bars or sipping coffee on the go. (Or is that just me?) Our own Brooklyn transfers you into that irresistible fusion of the classy ‘Gossip Girl’ and neighbourhood hangout ‘Friends” atmosphere from the very first glance. I think it’s all because of the urban gardens they’ve organized by the entrance and at the balcony on the upper floor:) Who new fake grass and a few pot plants were the key to the coolest interior? Probably, it has something to do with how unexpected is such idea for our green and lush New Zealand:) That balcony, by the way, totally elevates your dinner! Cozy, comfy, with an iconic view over The Strand, that is the place worth booking a table in advance. Lifehack – we arrived early and most of the outdoor tables were still free! Following the latest trend of the big cities’ eateries, Brooklyn’s menu is compact, yet diverse, not overly complicated (so you don’t feel awkward), not too simple (so you know this evening is a special one). It obviously favours meat and fish recipes – for example, main dishes are created for carnivores only. But there are nice options for vegetarians in starters and pizzas. 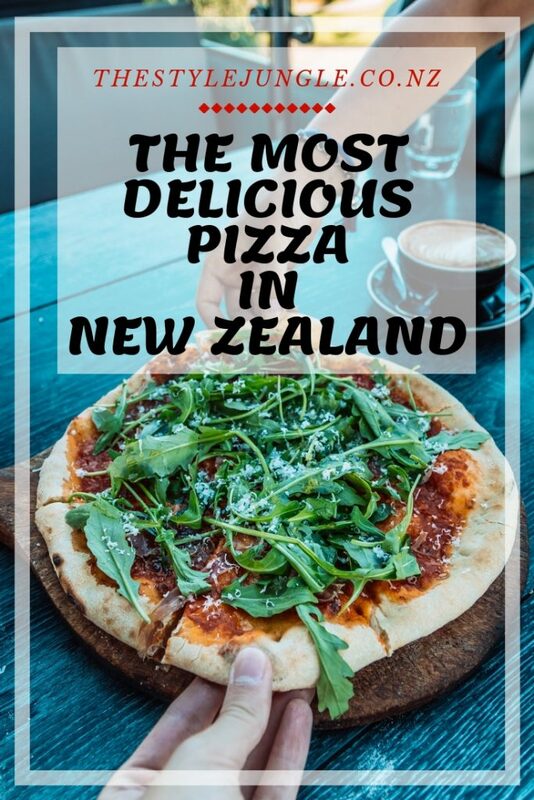 For example, Smoked Beetroot Salad ($18.5), Roast pumpkin, spinach, feta, curry spiced dukkha pizza ($22), Margherita ($21), Spinach, mushroom, fresh herbs, truffle oil, parmezan pizza ($22). Though I’m pretty sure they can exclude cheese from any of these options, the only really vegan one on the menu is Buffalo Cauliflower Wings ($21.5). Writing about this wonderful family dinner, I just have to mention how welcoming and amazing is the staff there. 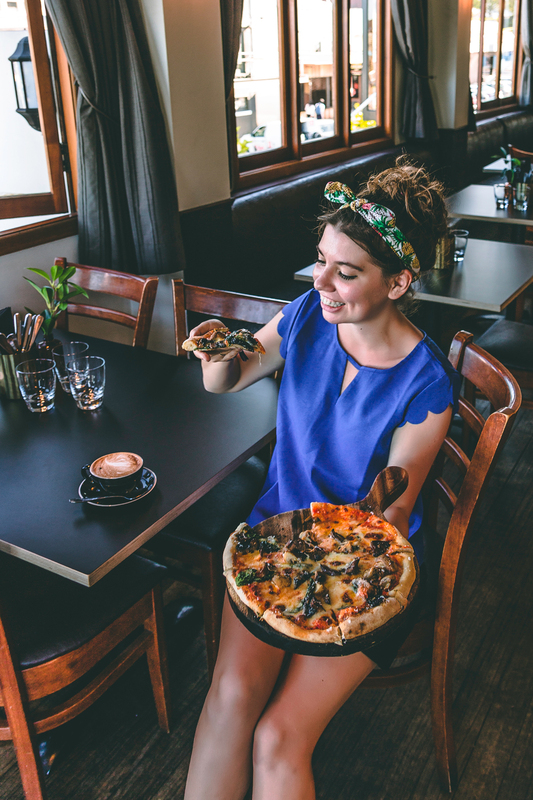 Not only did they patiently explain all the ingredients in dishes we asked about, they were also super tolerant to our filming/photographing process. And trust me, that means A LOT! Because us in ‘bloggers mode’ is literally a horror show! We migrate from one table to another, move furniture, laugh, shout, run, use the blinding flashlight, etc… Everything for the shot:) Sometimes we can literally feel the burn of the hating stares on our backs! But not this time. Girls were so helpful, smiley and attentive, we felt absolutely relaxed and creative. The verdict? Brooklyn Patio & Eatery is a charming place to spend time with best friends or family, offering a really good food (even if there is a misfire with one dish, the rest of the plates would by all means compensate it), exceptional views and top notch service.